The Obama administration fears veterans, it appears. First they deny benefits to returning and discharged veterans, then they cut funds to the Veterans Administration. Now, they are attacking veteran support organizations like the American Legion. There were veteran organizations prior to the Legion, many from the Civil War, but none of those elder organizations survive. The three largest today are the American Legion, the Veterans of Foreign Wars (VFW) and Amvets. These three are the most recognizable, but there are many, many more. The Obama administration is attempting to curb opposition using the IRS as its tool of choice. Their attacks against conservative and Christian organizations have been exposed. Now they are focusing on Veterans. A very bad choice for them. Veterans have survived privation, stress and warfare. If pushed, does anyone think government bureaucrats can do worse than what these veterans have already experienced? I doubt it. Scandals: One of the nation’s largest veterans groups is being required to provide proof of membership eligibility. Posts that can’t or won’t comply face heavy fines. Your government thanks you for your service. “The American Legion has recently learned of the so-called IRS ‘audit manual’ and is concerned that portions of it attempt to amend statutes passed by Congress and approved by the president,” American Legion legal counsel Philip Onderdonk Jr. told The Daily Caller. “The IRS now requires American Legion posts to maintain dates of service and character of service records for all members. …The penalty for not having the required proof of eligibility is, apparently, $1,000 per day,” the American Legion stated. ‘Unconscionable’ is an overused word in describing the abuses of power and the continual overstepping of legal and constitutional boundaries by this administration. But it certainly applies in this case. 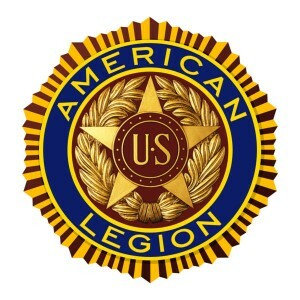 The American Legion is a nonpartisan, not-for-profit veterans organization chartered and incorporated by Congress in 1919, and now has more than 2.4 million members in 14,000 posts worldwide, according to its website. It has never had to deal with such a requirement until now. The American Legion will take up the issue during its national convention in Houston this week and decide whether to pursue the matter through the courts or Congress, where at least one lawmaker has already come to the organization’s defense. “On the heels of Americans’ anger over revelations that the IRS intentionally targeted certain groups, it has been brought to my attention that the IRS is now turning their sights toward our nation’s veterans,” Kansas Sen. Jerry Moran rightly says. We are aware that some individuals, including some politicians, have invented or embellished their service records. But what the IRS is suggesting here is that American Legion posts, as organizations, may be enjoying tax-exempt status under false pretenses. I’ve not heard if the VFW, the AMVETS or other veteran organizations have been targeted like the Legion…yet. But, if the IRS attacks one, why would they hesitate from attacking others? And, why attack these organizations? Is it, perhaps, because they are conservative, critical of liberals and the Obama administration, because of their vocal support of veterans against the VA? I do have a personal stake in this attack on the Legion. I was once a member. I’m not now, but my reasons for not renewing my membership had nothing to do with the parent organization. If I were still a member, I, like the other members, would have to be heading for our lock boxes to get our DD-214s or other documents to prove our active service. Documents that contain much, much more than just our periods of active service. When I joined, I filled out a form on-line. When I went to my first Legion meeting, I met a couple of my peers from my Air Force days. They, like me, stayed in our local area after we left active service. I hadn’t seen some of them for over thirty years. This entry was posted in Air Force, American Legion, AMVETS, Attacks by Government, Attacks by Leftists, IRS, Opinion, VA, Veteran Organizations, Veterans, Veterans's Administration, VFW by Crucis. Bookmark the permalink.